Model Magic. Sometimes I feel like that’s enough said. It’s been one of my favorite art-making materials for years. I was first introduced to this magic modeling compound when I started teaching children’s’ programs at my local art museum. We used Model Magic in projects for kids of all ages – from toddlers to teens. It’s easy to spread, super-fun for kids to work with any you can paint or color the plain white to make it any shade (including a marbleized rainbow) that you want. 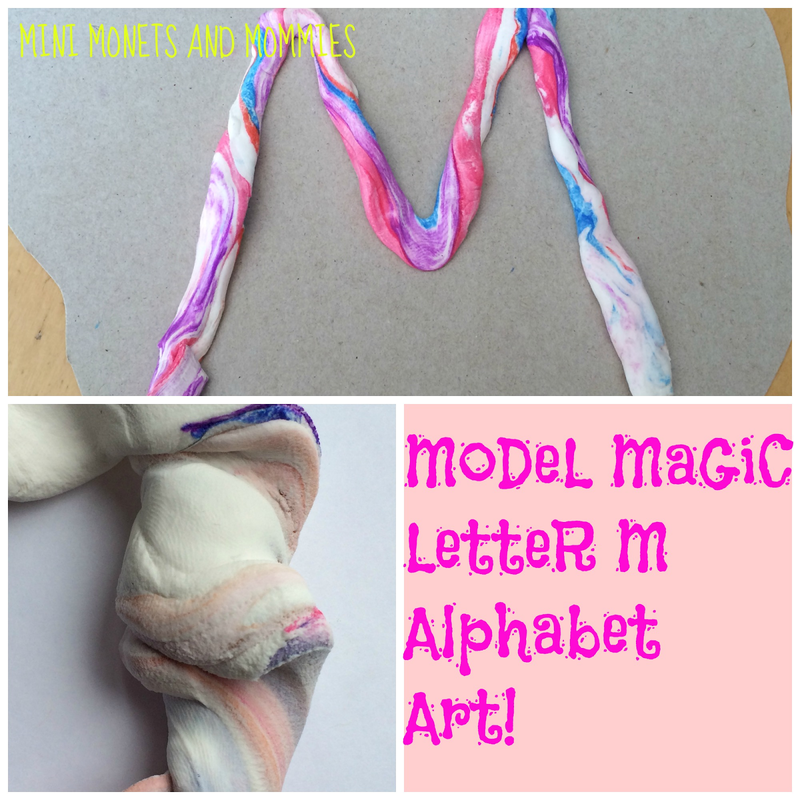 Since it’s Monday – and M is for Monday (as well as Model Magic – this letter-based art activity I’ve chosen to share is a simple sculpture relief. Adapt it and make other letters or have your child build her entire name out of Model Magic. · Model Magic – Even though you can buy different colors of this product, I suggest using the plain white and letting your child create her own shade. · Cardboard – Cut the side off of a cereal or moving box. 1. Cut your cardboard into a shape. Even though I prefer to let the kiddos do all of the work themselves, it’s not easy to cut through a thick board. If your child is struggling or you’re worried that she’ll hurt herself trying to slice through the cardboard, do this step yourself. Let your child direct you as to what shape to cut the board into. She can draw an outline with a pencil, and then let you cut. She can make a geometric shape such as a circle or triangle, go with a free-form organic shape that looks like a cloud or an amoeba or even make an extra-large letter M.
2. Have your child write the letter M (large-sized) on the cardboard with a pencil. 3. Start stretching out the Model Magic. Your child can pick one color or draw rainbow stripes onto the white surface with markers. She can twist and mash the Model Magic together to spread the color through the clay compound or make a marbleized effect. 4. Squeeze the glue onto the letter lines. 5. Twist or roll (like a snake) the Model Magic. 6. Press the Model Magic onto the glue. Add a few extra steps and let your little one decorate the cardboard with markers, or use her fingers (or even the marker caps) to create patterns and textures in the clay. 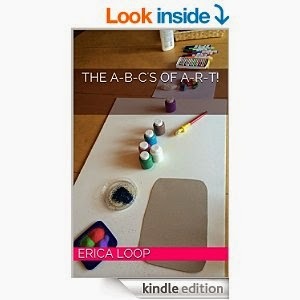 Follow Erica Loop's board Letter and Literacy Kids' Crafts on Pinterest. Are you looking for more alphabet art activities? 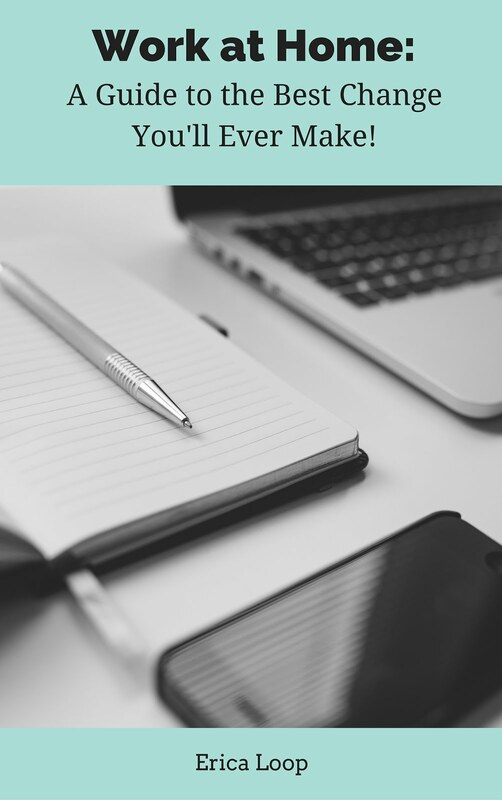 My new ebook The A-B-C's of A-R-T! has ideas galore! Thanks for sharing at this week's #Pintorials! I've never used Model Magic - does it air dry and set, or can you re-use it? Do you know if there is a UK equivalent brand..? It does eventually air dry (so, make sure to reseal the bag or container that you're keeping the extra in tightly). It's made by Crayola, so you might be able to find it in the UK (or at least online). Thanks! believe it or not I've never used model magic! Think a trip to Michael's is in store for us today!